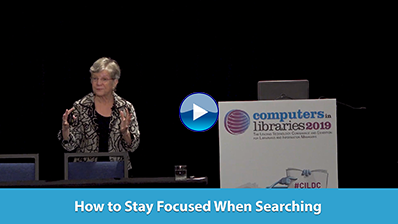 Learn how to turn your search into research at WebSearch University ! Organizations with large collections of intellectual property assets—patents, trademarks, licensed content, domain names, and more—can face enormous and critical problems with managing all the details necessary to create, maintain, and use these assets. Thomson IP Manager, a major suite of IP portfolio management software from Thomson IP Management Services, provides and processes key information in as many problem areas as possible and improves organizational decision making in handling IP assets. Recently Thomson added several new features to the package, in particular data validation. IP Manager now also supports Information Disclosure Statements (IDS), survey and delegation for work teams, and a new collaboration portal. Gale, part of Cengage Learning, announced new updates to Gale LegalForms, its online legal resource designed to help public library patrons, law students, and practicing lawyers create accurate and reliable legal documents. All LegalForms products now include the Law Digest module, which contains law summaries for each state as well as a detailed, yet easy-to-understand, legal question and answer (Q&A) section. Enhancements have also been made to the user interface, making the resource easier to navigate. The Ex Libris Group announced the release of version 8 of the Voyager integrated library system (ILS). Much of the new functionality in this version is the result of continued collaboration with the international Voyager community, which now consists of more than 1,300 sites. "Seeking Synchronicity: Revelations and Recommendations for Virtual Reference," a new report from OCLC Research, in partnership with Rutgers, the State University of New Jersey, and additionally funded by the Institute of Museum and Library Services (IMLS), distills more than 5 years of virtual reference (VR) research into a readable summary featuring memorable quotes that vividly illustrate specific and actionable suggestions. The report suggests that by transforming VR service encounters into relationship-building opportunities, librarians can better leverage the positive feelings people have for libraries.